Do you ever have those days where you just need to do something different? A new activity, something out of the usual. Nothing fancy just something different. I had one of those days a few weeks ago. We had been playing outside a lot and the girls were getting bored with our normal outside activities - swings, bikes, bubbles, chalk. 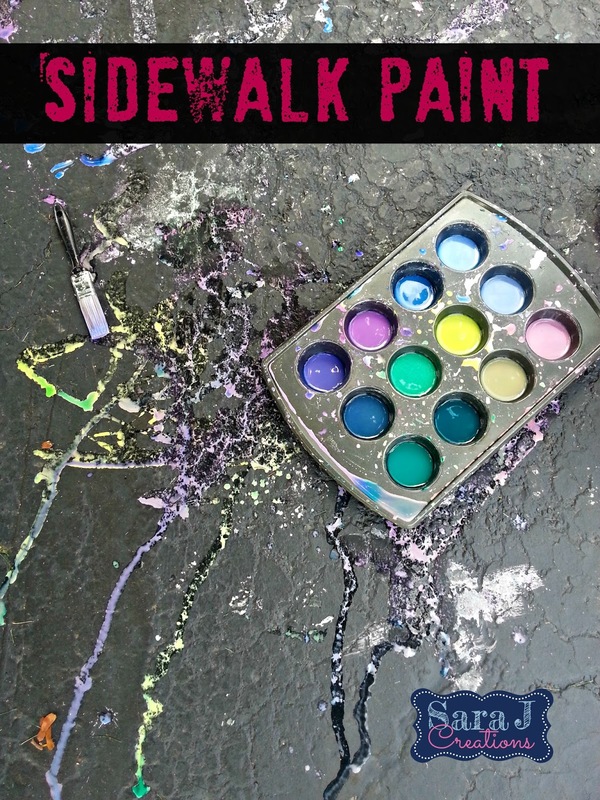 I saw some recipes for sidewalk paint and decided to play around with it. It seemed simple enough. All I needed was cornstarch, water and food coloring. 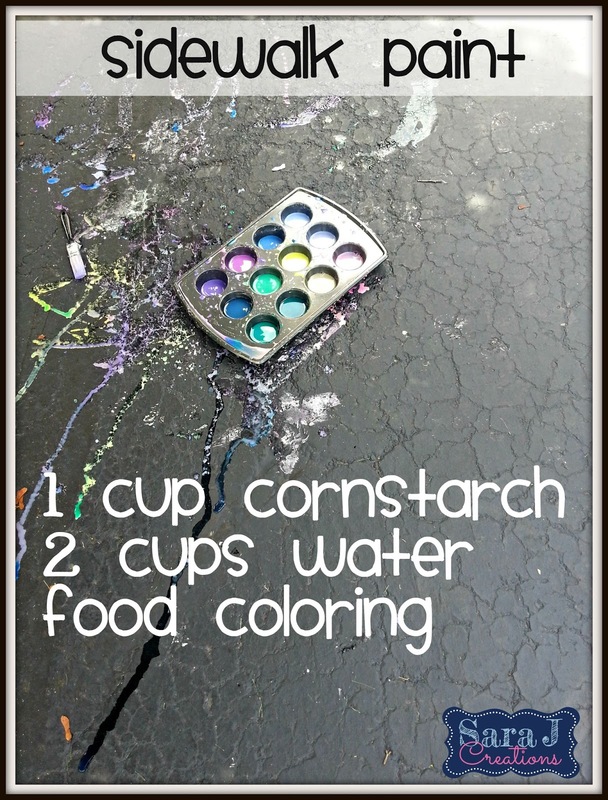 I found that 2 cups of water to 1 cup of cornstarch worked the best to make the paint liquidy. If you don't have enough water you end up with what we used to call Oobleck in the classroom which is totally fun but not good for painting. I mixed up the cornstarch and water and divided it in muffin tins. 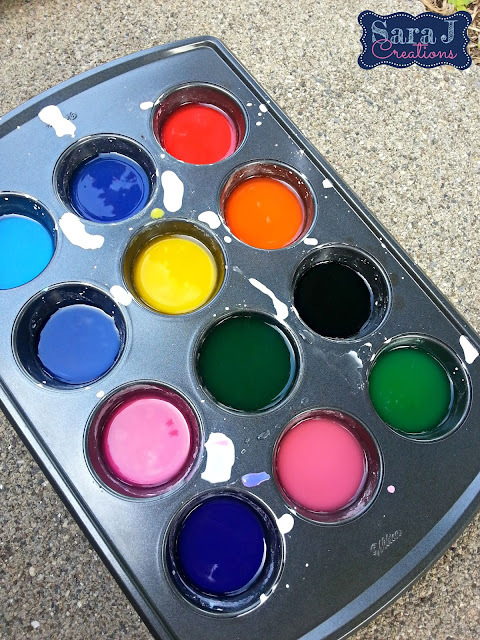 Then I went through and added different combinations of food coloring. I only added a few drops of color in each section. 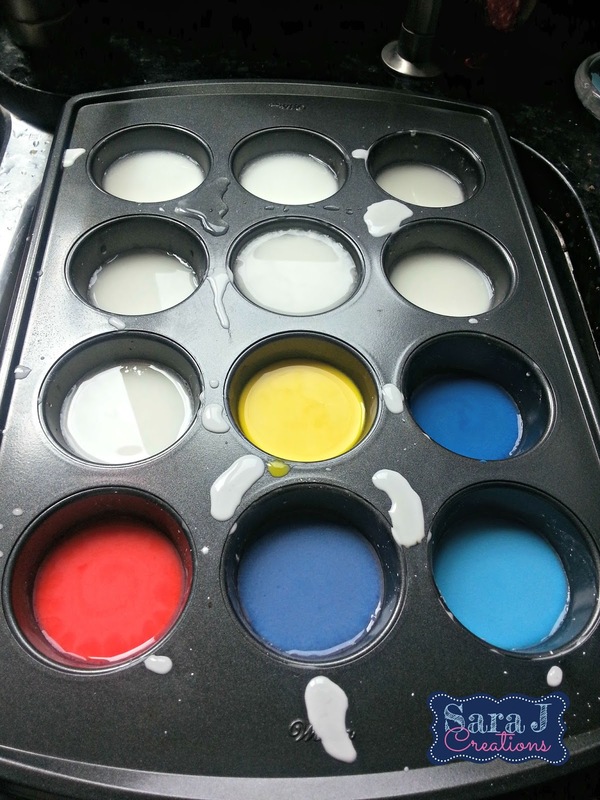 The colors are pretty bright but that's mostly because the cornstarch is settling at the bottom. Every once and awhile I would give it a stir and then it had more of a milky appearance. I bought the girls some cheap paintbrushes assuming they would be destroyed after painting on our driveway. The girls loved painting the driveway and playing with the colors. 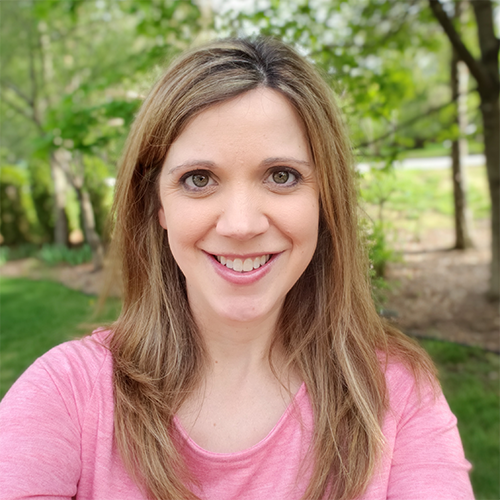 As you can see from the pictures, it isn't super vibrant on the driveway, which is good because that means that it washes away easily after it rains. There was no staining on our black driveway or on the concrete sidewalk. There was enough color to keep the girls happy and it was easily washable which kept Daddy happy. The girls got some on their hands and legs while they were painting but it came off easily in the bath. 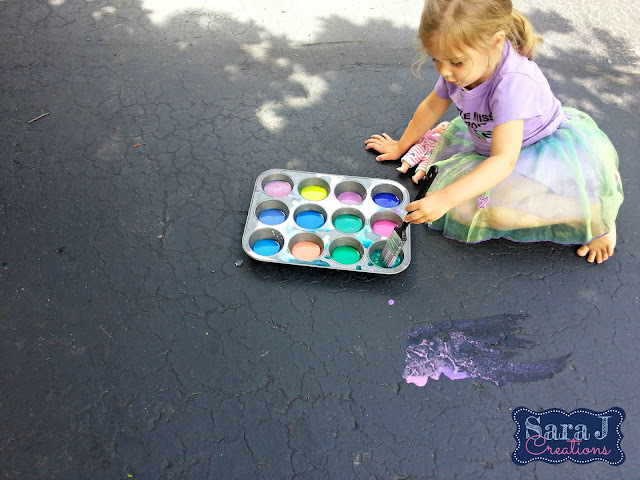 A quick and easy way to have some outside fun. 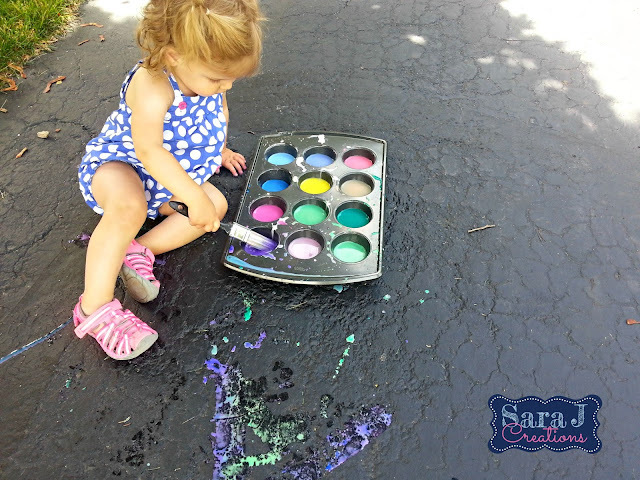 It would be a great way to explore colors, mixing colors, practice letters, numbers, sight words and more.